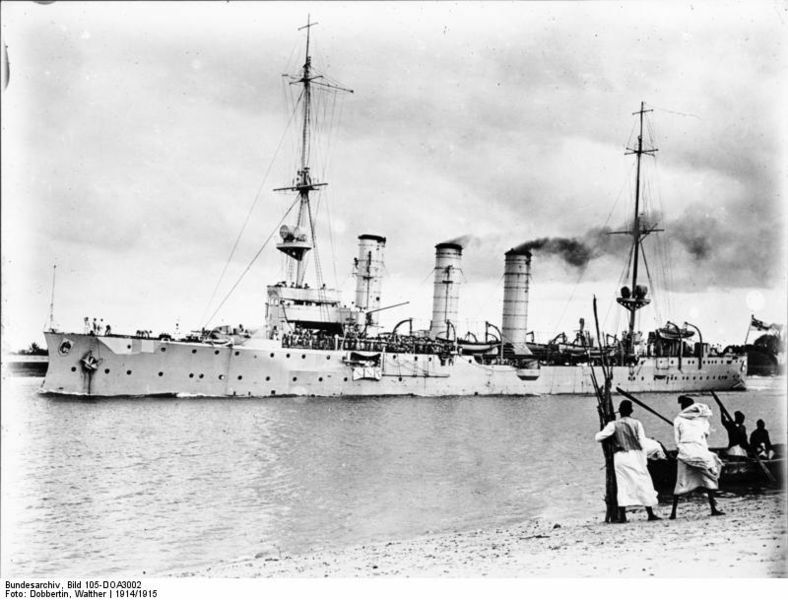 On 5 June 1914, the German cruiser SMS Königsberg arrived at Dar-es-Salaam. 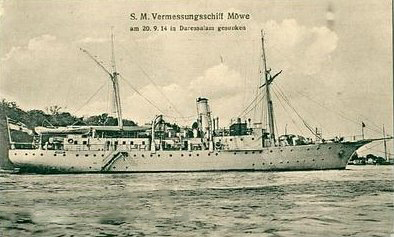 At the outbreak of WWI, she began raiding commerce off the east coast of Africa. 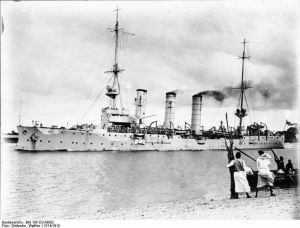 Her success was shortlived, and increased British naval presence led her to retreat to a hiding spot in the Rufiji Delta. 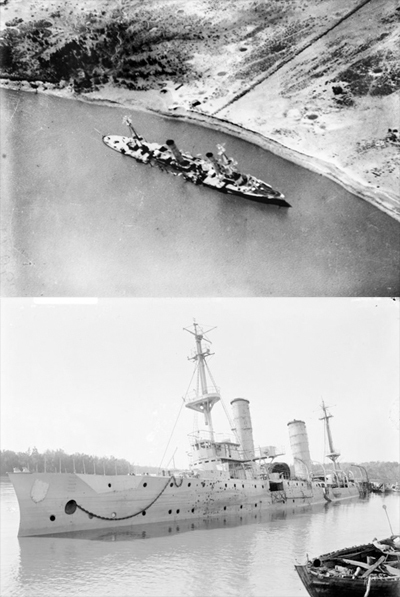 The British launched a major effort to sink the Königsberg, and eventually she was scuttled in July 1915. 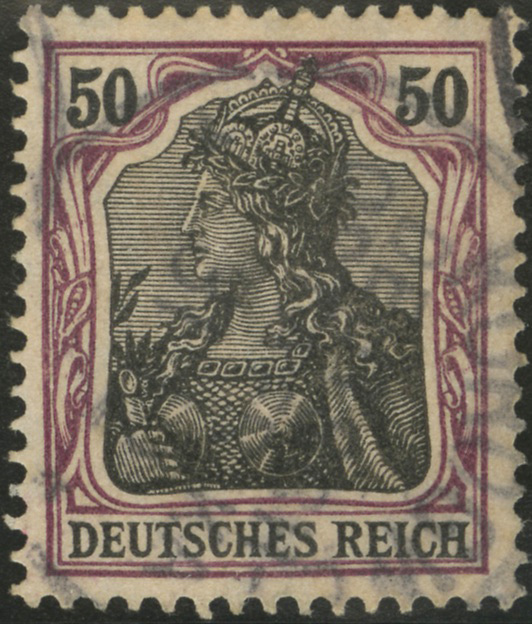 While salvaging armaments from the ship, the local authorities also salvaged a supply of German stamps. 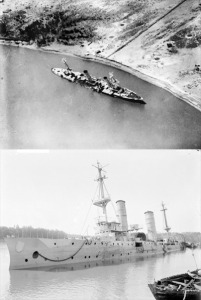 They had been immersed in high water at high tide, but were still usable. 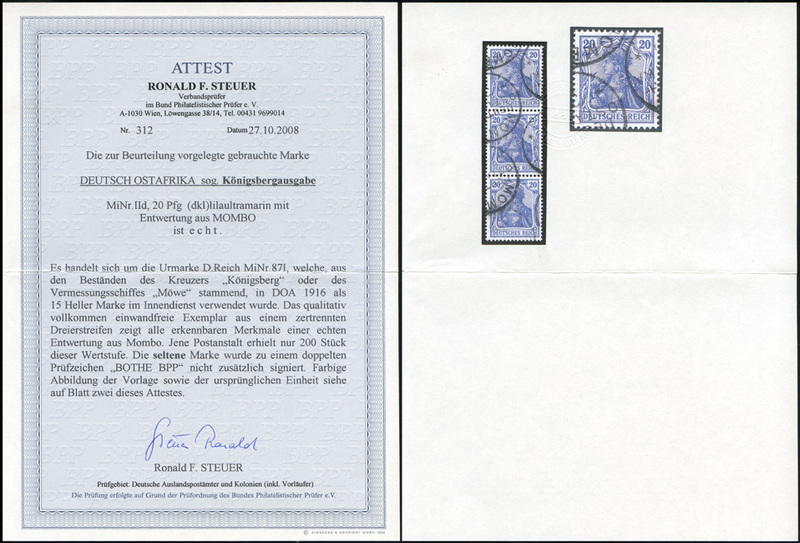 These stamps were combined with stock from the survey ship SMS Möwe, then distributed among local post offices. 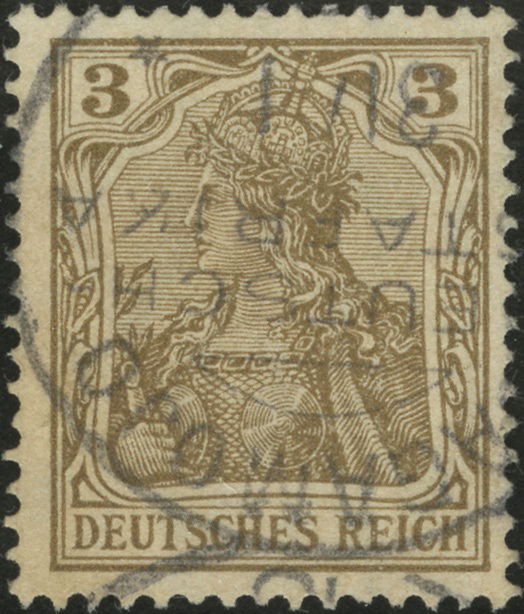 The pfennig/mark values were used as heller values as set out below. 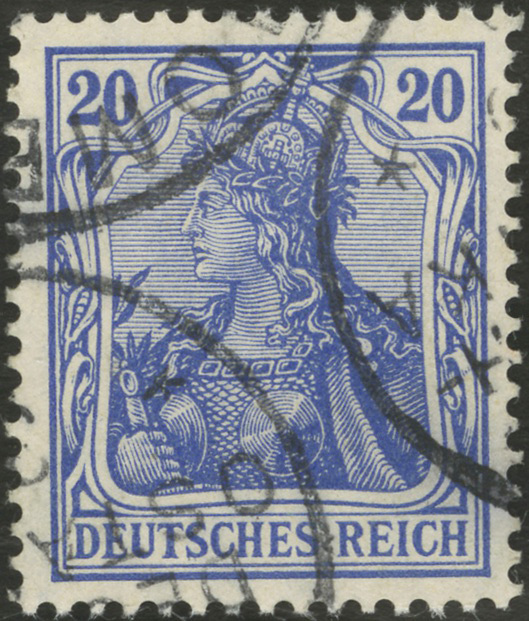 These issues can be distinguished only by their German East Africa cancels. 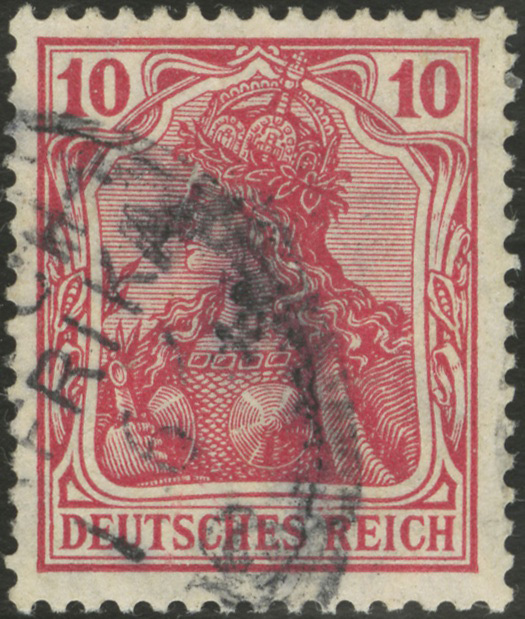 One copy of the 1 Mark value (MiNr 1 f) was known to exist, but it has not been seen since WWII, and is believed to have been lost or destroyed during the war. 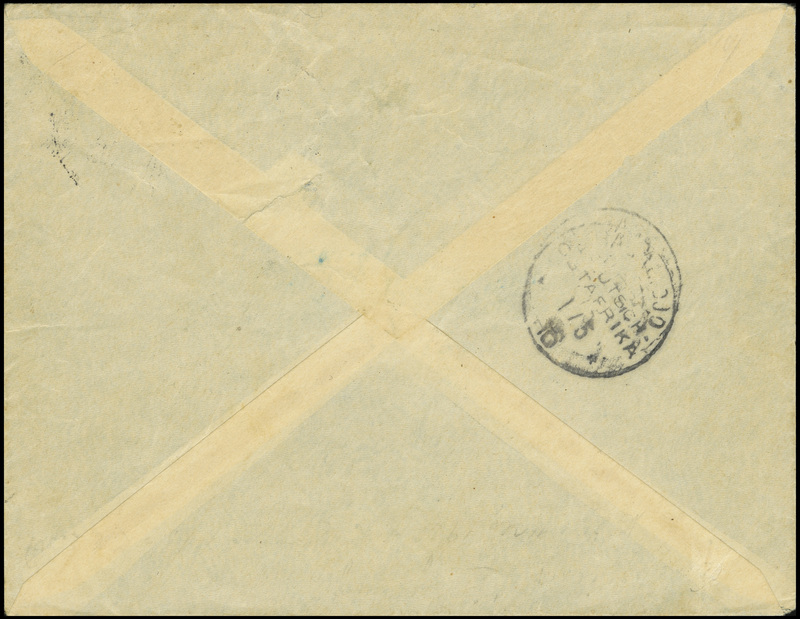 The post offices were under orders to use the stamps only on official parcel post cards. The stamps were not to be sold to, or used on mail addressed to, private parties. 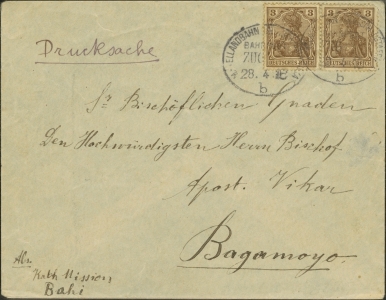 However, the cover shown below is addressed to the Catholic Bishop in Bagamojo. 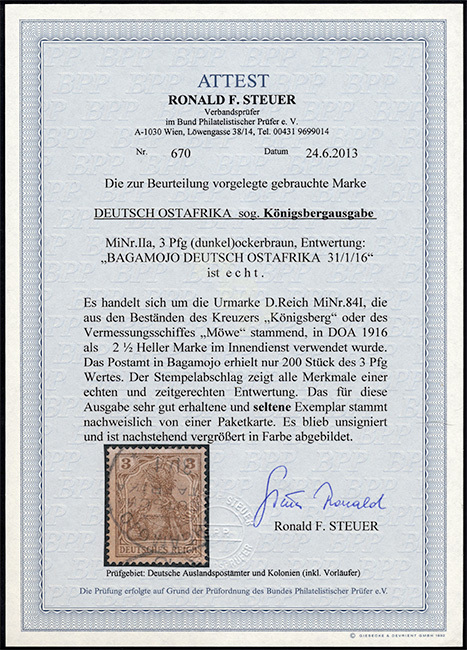 It originated at the Catholic mission in Bahi, which was near Dodoma, and the 3 Pf Germania stamps are likely from Dodoma’s stock of 100. 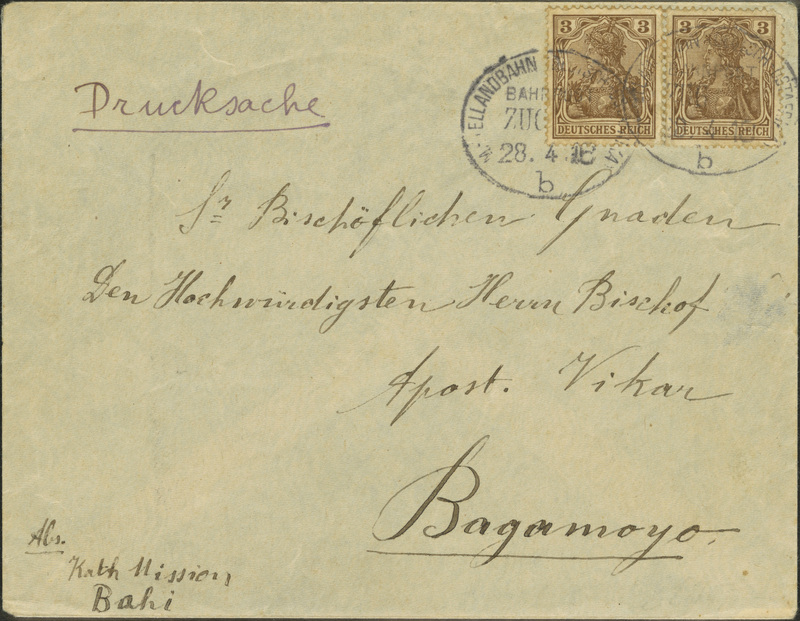 It was cancelled on a train of the Mittellandbahn (Central Railway), which ran through Dodoma. 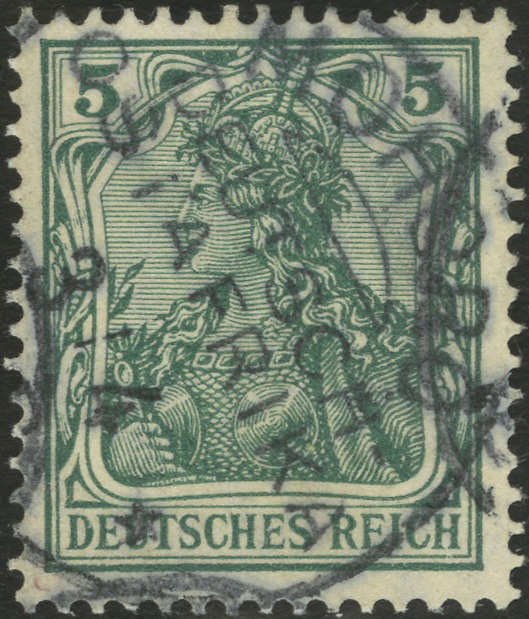 This is likely a unique (as in one-of-a-kind) item, as it contains both a rare private use of the provisional stamps, and a railway cancel, which would not be normal with the proper official use of these stamps.